Plans, kits, components, videos, etc. 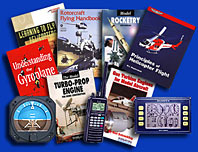 for the homebuilt helicopter hobbyist. Don't miss the $500 flying machine! • Outstanding, affordable rotor blades for your homebuilt rotorcraft project! To order plans or other products: Please go to the page of interest and scroll down for ordering info. Vortech contact numbers: Automated orderline: 410-663-8022 (have product name and credit card on hand). Fax: 410-668-8518. To speak with someone: Phone 410-668-2757 weekdays from 1 pm to 7 pm east-coast time. If you get a recording, we may be on another line or in the field, in which case try later or leave a message.